As promised, I interrupt this regularly scheduled program for some more Christmas projects! I find that more and more, the giving that I do includes gift cards, and the gift cards need holders. I purchased two plain wooden boxes from Michael's. One had a snowman on it, one a tree (all unfinished wood). I removed the ribbon that came with it and replaced it with twine. 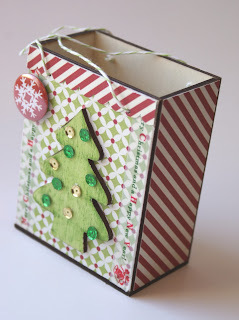 I received a lovely box in the mail from my scrappy friend Lynne because I had won it on her blog. It was chocked full of winter and Christmas lovelies, so I immediately set about using them. Some paint, some paper, a few sequins, and a layer of glittery snow (hard to see, sorry). With some coordinating tissue paper and a gift card inside, it went off to my husband's secretary! 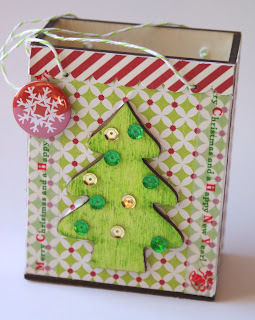 For this project, I used an assortment of yummy LilyBee papers and flair from Michael's. 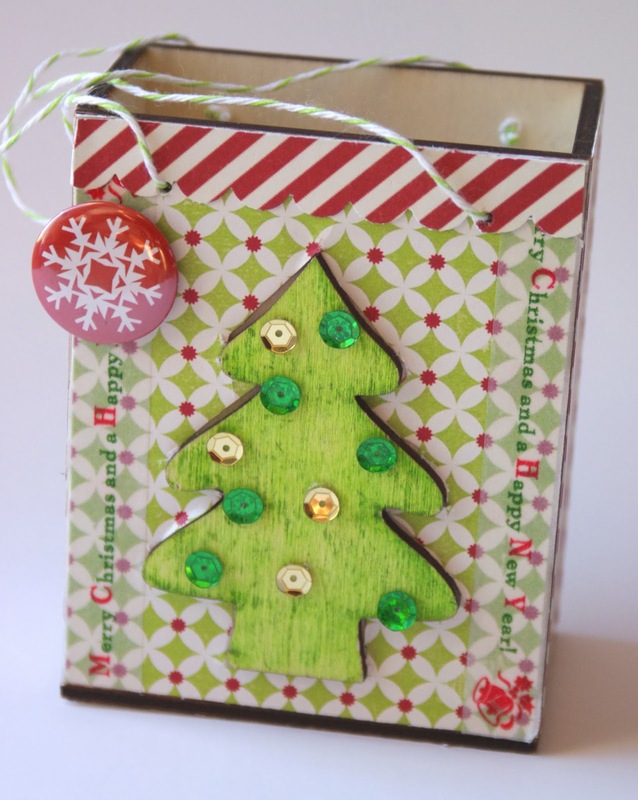 I also used a bit of washi and some sequins. I love how this one turned out especially. And I am not sure who it is going to yet. How do you "wrap" gift cards? 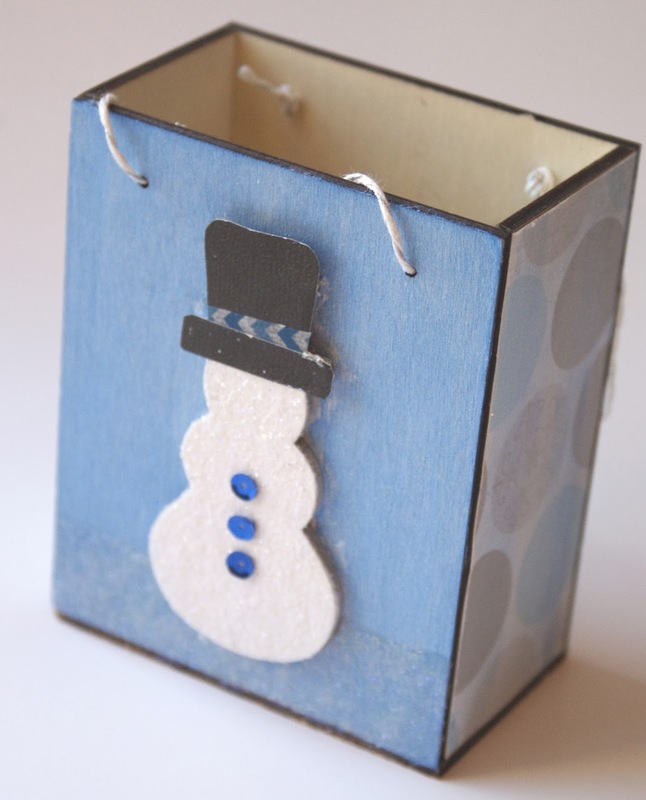 Love your creative gift boxes. Very creative. Thanks for sharing on the WT page. these are sooo dang cute!!! These are too cute, Sheila! !